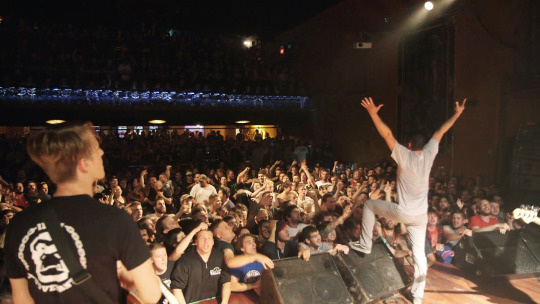 The group Misery Signals reforms after several years to tour to celebrate their first album as well as to try and mend fences and put the past that had involved in fighting and fatal car accident, behind them. Solid music doc about a band of young men trying to recapture the past and go on. Focusing not on so much on the music but the guys in the band and their shared past, this is a wonderful look at what it's like to be in a band and trying to make one's way in the world. Its a great look at a bunch of guys who may or may not have grown up over the last ten years. I really like this film a great deal and it was a real surprise that I ended up liking it as much as I did. The film world premiered last night at the Portland Film Festival and is one to track down.